Google just released the first Android Q developer preview earlier this month, and we're still digging around to discover all the new stuff. It's clear even from this first version that Google is taking privacy more seriously, and tightening control of the clipboard is part of that. 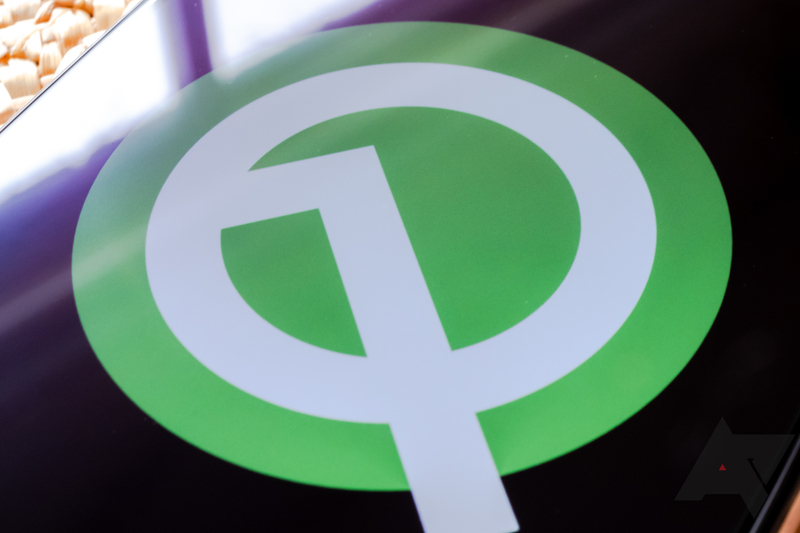 One notable clipboard manager is already planning to retire features in anticipation of Android Q. 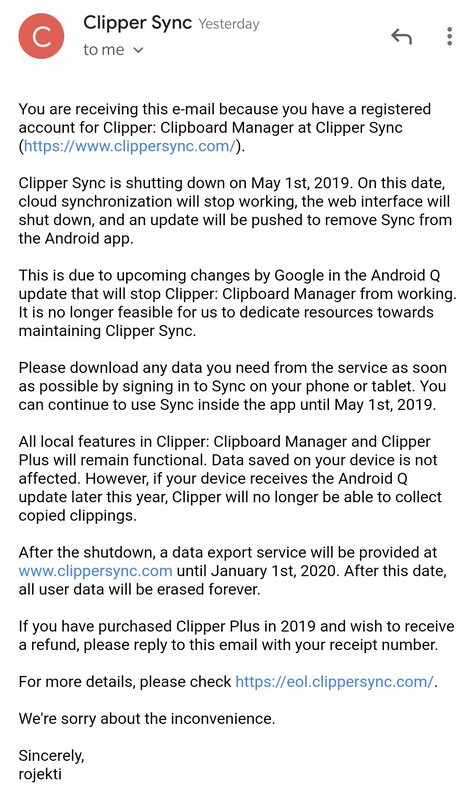 On May 1st, 2019, Clipper Sync will go offline according to an email sent to users. In Android Q, Google says it will limit clipboard access to those apps registered as keyboards with the system. That means clipboard managers that sit in the background and collect your text will stop working. Clipper Sync is the online component of Clipper, a popular clipboard manager in the Play Store. The free version has more than 1 million downloads, and the pro version is over 10,000. The developer says Android Q's new restrictions on clipboard functionality will make it impractical to continue working on Clipper Sync. Shutting down the sync service so soon does seem like a radical step—it'll take a long time for Android Q usage to reach more than a sliver of the total Android user base. The app's local features will continue working until your phone gets an update to Android Q, too. Following the Sync shutdown in May, service will provide a data export feature to help users save any important text. That's only available through January 1, 2020.